All across New Zealand , from Auckland to Wellington and Christchurch people have been using our 3D Print Service , and quite often there’s a factor they likely didn’t know about playing a major role in the outcome of their parts . The quiet sibling of variables such as surface finish , colour and accuracy , orientation is often overlooked but is no less important . 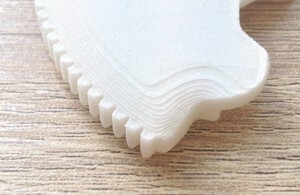 In fact , it has a direct effect on the majority of factors in SLS 3D Printing including strength , accuracy , surface finish , geometric deformation (warping) , cost and even whether holes come out round or not . Knowing a bit about orientation is useful knowledge indeed . 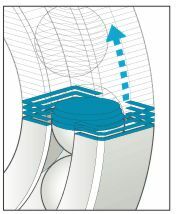 Additive manufacturing uses a process of building subsequent layers upon one another to create a 3D part . 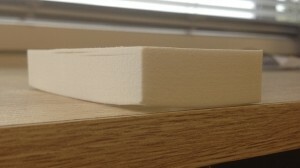 These layers are melted together but due to the pause between layers (as the printer lowers the platform etc) they cool slightly , meaning the bond between layers is not nearly as strong as the bond along a layer . So if a feature needs to be strong for a particular purpose (ie a snap-lock tab needs strength and flexibility so it doesn’t snap off) then this should be orientated horizontally (along the layer) . Sometimes this causes an issue where two separate features on different planes both need high strength , in which case for example consider designing one to be printed separate and attached afterwards . Another analogy is if you think of cutting wood . 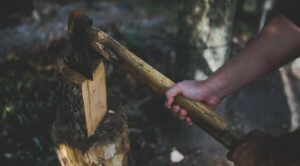 With the axe you (try to) aim for the grains and split the log along those as they’re the natural weak point of the timber . Accuracy is affected by orientation mainly in the following way – the laser is very accurate and the 2D ‘image’ it draws per layer is the most accurate part of the whole process . The inaccuracy comes in once the 3rd dimension is added and layers start to get piled on top of one another , then slight deformations from a number of variable come into play , and can change the geometry of your part slightly . These differences are small but should be kept in mind when printing round parts , as the ’roundness’ will be slightly affected if printed in any other orientation other than vertically . In terms of surface finish orientation affects horizontal curves where the nice smooth surface gets sliced into ‘steps’ . The degree of this ‘stepping’ depends on the gradient of slope , a steeper slope means smaller steps and a better appearance . Warping is a major consideration if your part is boxy , has square features and edges and large , long flat sections . Warping is basically caused by the thermal difference within a part , heat causes expansion and loss of heat causes contraction . For example a long flat section will lose heat from its outer edges first and heat from the centre last , so the edges will cool and contract faster and leave your part looking like a banana . Cost is affected by orientation in two ways – the size of your bounding box and Z Height of your part . The larger the bounding box the more space it takes in the printer and the more Z height the longer the print takes . I hope that helps give you some insight into a few factors that can improve your parts and design using 3D Printing .